Westchester County Home buyers should make sure the buried oil tank is removed and remediated before closing. I find myself saying one thing over and over again. There is no such thing as a “perfect property”. And this is not only true for the areas I focus on; My personal focus is on representing home buyers in Chappaqua, Briarcliff and on properties elsewhere Westchester County. This unfortunate fact about the home buying process is true globally. But look on the bright side. While the perfect new home in Scarsdale may not exist, something close to it probably does. Maybe you want a turn-key colonial in one of Westchester’s Top Ranked School districts, and you find one but with a rundown kitchen. Or perhaps you are looking for something with a river view in Dobbs Ferry, but find one in Irvington instead. These are issues that home buyers can compromise on. Home buying is a process and a journey, and buyers will decide in time which compromises they are willing to make and which they will not. There are also compromises that a home buyer should not make. I will allow my buyers to buy a home a that has a septic tank instead of a sewer. I will also let my clients buy a home that heated with Oil instead of Gas. But I will NOT allow my clients, in good conscience, to purchase a property with a buried oil tank. Since most homes in Westchester began being built, even as far back as the early 1900’s, buried oil tanks were employed as a way to access and store home heating oil. Prior to the 1990’s, tanks were buried, accessed and never thought of again. In the 1990’s this changed. Municipalities nationwide began seeing increased instances of oil tanks that were buried in the ground, popping holes and having the contents of those tanks, 100’s of gallons of oil, leak into the ground, or worse, contaminate the water supply. The danger is this: If a homeowner has a buried oil tank, and that tank is found to be leaking, the homeowner is responsible for the cleanup. The costs for cleanup depends on the situation. Factors such as how much soil, contamination, if any water was contaminated, etc, all come into play. For even the smallest properties a major spill can result in 100’s of thousands of dollars in clean-up and soil remediation. This risk needs to be mitigated by the seller before the closing. What Should I do if The House I want to Buy Has a Buried Oil Tank? The seller must either provide certification that soil tests were found to be satisfactory after the removal and no contamination was found OR perform any necessary remediation and provide a certification of clean soil, from the municipality to the buyer prior to closing. 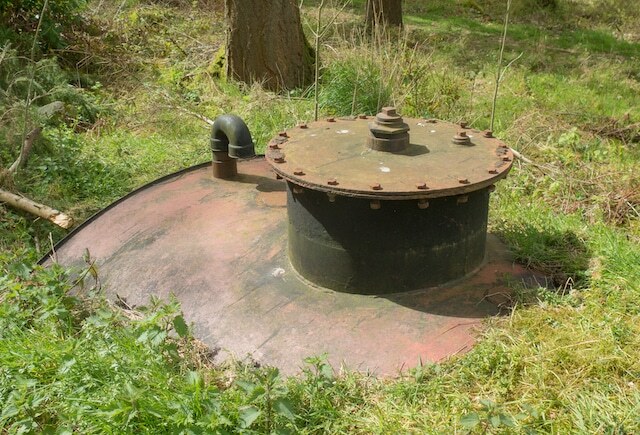 1) The property is employing a modern double-walled, alarmed oil tank buried in the ground. Those these tanks should also be inspected but they generally do not pose any risk. 2) The seller has no money. In the second case, NestEdge would love to help. NestEdge Realty can help its homebuyers lower their closing costs by issuing its a buyers a Broker Commission Rebate. Part of that rebate can easily go towards sharing of costs to remove an in-ground oil tank, installation of a new furnace that might not utilize oil at all, or maybe even to help you avoid the mansion tax.